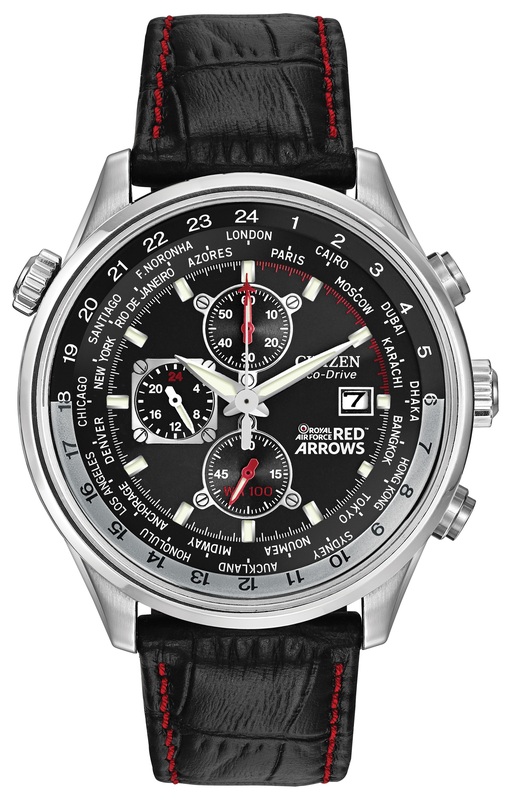 Take to the skies with this chronograph from Citizen’s RAF Red Arrows Collection. 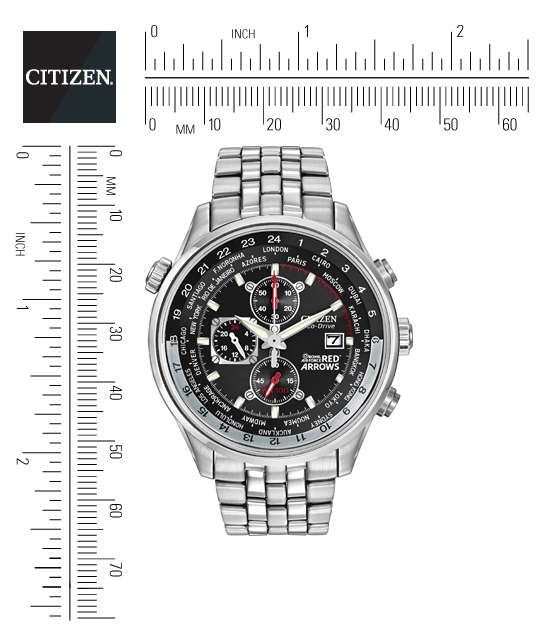 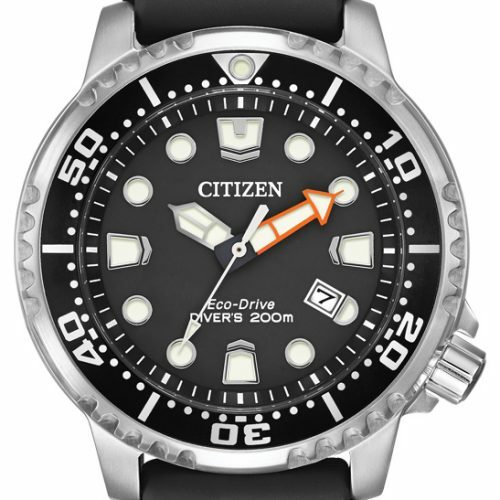 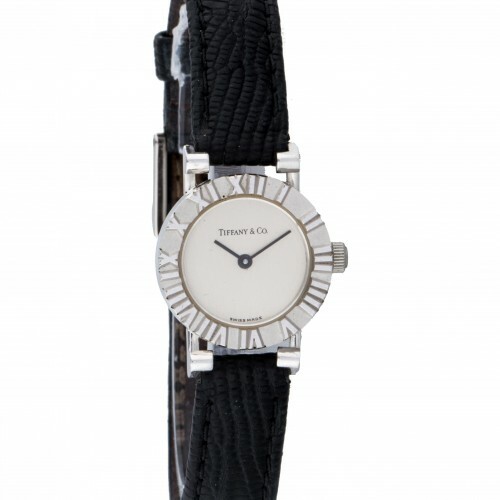 Styled in stainless steel with a black dial featuring red and white accents. 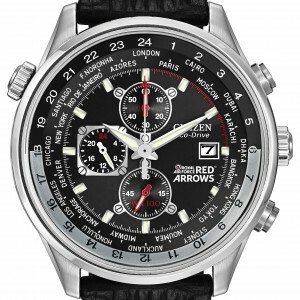 The official Red Arrows insignia appears on the watch caseback.